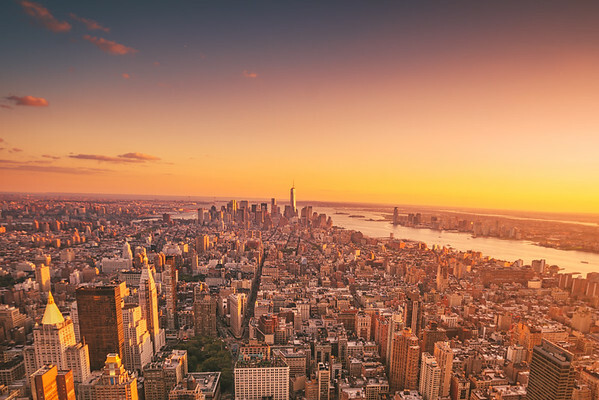 The New York City skyline during a brilliant sunset. The sun sets over NYC with a view overlooking the cityscape of midtown Manhattan looking South towards One World Trade Center. The Flatiron Building features prominently in the central part of the cityscape.